The latest ICAEW UK Business Confidence Monitor (BCM) has moved into negative territory, following the downward trend of the last two years. Although the Brexit vote has triggered a significant fall in confidence, it is now starting to recover. The findings highlight the need for Government to provide greater certainty for business in the short term, to encourage investment and to prioritise trade negotiations. Confidence, already on a firmly downward trend, has been hit further by Brexit. It stands now at -10.2 a fall from +0.8 last quarter. Since the referendum some recovery in confidence is evident, but only modest. The slowdown in domestic sales growth may have come to a halt, while export sales growth has remained modest. As a result overall growth has been subdued and prior to this expectations of a pick-up had already weakened. With sales slowing, spare capacity is rising thus easing concerns over skill shortages. Companies face rising input prices but flat selling prices, hence profits growth remains below expectations. As a consequence, companies are cutting their investment plans, in areas such as Research & Development and staff development. Employment growth has continued to soften and Brexit has weakened expectations further. Sectors such as Construction, Property, Transport & Storage and larger companies contributed to the fall in confidence. This fall is near-universal across all regions. 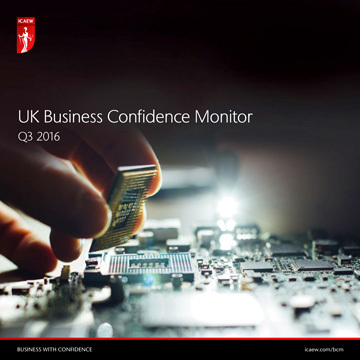 You can read the full UK Q3 2016 ICAEW/Grant Thornton UK Business Confidence Monitor (BCM) report here. Find out more about the latest UK BCM findings and an update on the economy from Rathbone’s at our event on 22 September 2016 in Newcastle. 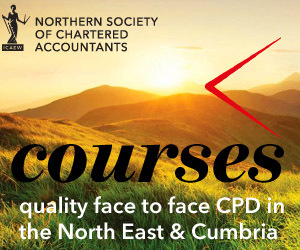 Find out more about the latest UK BCM findings and an update on the current economic climate based on the Bank of England’s latest forecasts at our event on 30 September 2016 in Middlesbrough.